Mike Cahill, M. Div, M.A. A graduate of NC (2001), Mike joined the faculty team in 2011 to focus on helping the emerging generation of youth leaders clearly communicate the gospel message to today’s postmodern culture. He previously spent 13 years in ministry, both as a youth minister and as a senior pastor. He has also completed 7 marathons so far (and counting!). He currently mentors youth ministers on the field and preaches and teaches at churches throughout the Midwest regularly. Mr. Chilcote joined the faculty of Nebraska Christian in 2013 after serving over a decade in full-time ministry as a worship pastor. He holds a B. Music in Vocal Education from Ohio Wesleyan University, and a Master of Arts in Worship from Hope International University. A versatile worship leader and musician, John is passionate about preparing future worship leaders for ministry in the local church. He serves churches through the midwest as guest worship leader and worship coach. John and is family attend Brookside Church in Omaha where he is an active volunteer in the worship ministry. With over forty years of experience as a pastor and church planter, Professor Haynes brings wisdom and compassion into his ministry at NC. Mr. Haynes joined the faculty in 2004. A graduate of Ozark Christian College and Creighton University, he is active in teaching, mentoring, and counseling students to love Jesus passionately and love others compassionately. He continues to preach regularly at a variety of churches. Following several years’ service as a missionary with Pioneer Bible Translators, Dr. Huddleston has served NCC as a professor of missions and languages since 1997. With an educational background that includes studies in math (Milligan College), systematic theology (Emory University), linguistics (University of Texas), and a Doctorate of Ministry (Emmanuel School of Religion), Dr. Huddleston has a variety of disciplines that he brings to bear in thinking creatively about missions and church growth. Currently serves as a trustee for Alliance of Christian Missions International and as a guest instructor for various pastor training programs around the world. Dr. Krause has academic and church ministry backgrounds. On the academic side, he has taught in eight different schools and writes adult Bible school curriculum for Standard Publishing. He is also a writer for Logos Bible Software's Lexham Bible Dictionary project. On the ministry side, he has been on staff for six churches and was the senior pastor for a church in Los Angeles before coming to NC. He has done guest preaching or teaching in over 200 churches and continues to speak at churches in Nebraska and Iowa on weekends. He was the featured Bible Lecturer for the Oregon Christian Convention in the summer of 2015. His blog, krausekorner.wordpress.com deals with theological and ministry matters and has had over 50,000 hits. Dr. Milliken, or Dr. Bob as he is known around the college, is a graduate of NCC and of the University of Nebraska, Lincoln, at which he taught for 19 years. This summer Bob taught and preached at Bible Seminaries and churches in Jamaica and India. His hospitality work with international students at the University of Nebraska - Lincoln sees over 100 students each week, assisting them in adjusting to U. S. culture, and offering discipleship ministry to Christian students. He is in his 13th year preaching at the Sidney Church of Christ. Mr. Noland served as the Music Director at Willow Creek he founded the Willow Creek Arts Center and started the Willow Creek Arts Conference. As the director of Heart of the Artist Ministries, Rory leads retreats for artists, speaks at workshops and conferences, mentors worship leaders, and consults with churches in the areas of worship and the arts. A published songwriter, Rory is also a regular contributor to “Worship Leader” magazine and leads worship for the Transforming Center, a ministry that cares for the souls of pastors and leaders. Noland has authored four books published by Zondervan, including the instant-classic The Heart of the Artist: A Character-Building Guide For You and Your Ministry Team. He also writes a monthly column for Worship Leader magazine. Mr. Thornton is a native of Garnett, KS, and a graduate of Manhattan Christian College (B.A. Bible Ministries) and Creighton University (MMin Pastoral Counseling). Thornton served on the pastoral staff of Capitol City Christian Church in Lincoln, NE, for 30 years (17years as senior minister). 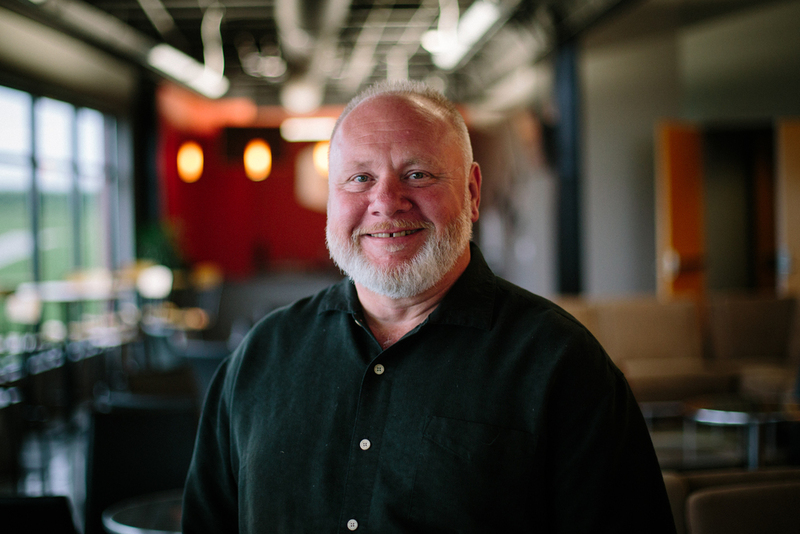 In addition to guest preaching at a number of area churches as requested, Bill also preaches on Sunday nights at Jacob's Well, a church plant in the urban core of Lincoln. Dr. Wood teaches Intercultural Ministry and History at Nebraska Christian College. He is a graduate of the University of Virginia (BA - Russian Studies, MA - Foreign Affairs), Cincinnati Christian University (MDiv), and Trinity Evangelical Divinity School (D.Min. – Missions and Evangelism). He served as a full-time church planter in Ukraine and has helped train church leaders on a short-term basis in Bosnia, Nepal, and India. He edits the book series "Urban Ministry in the 21st Century: Global Faiths" for Urban Loft Publishers. Mrs. Wymer graduated from NCC and went on to earn degrees from Wayne State College, and the University of Missouri Columbia. She brings to NCC twenty-five years of experience in higher education library leadership. In her career, she has worked to emphasize the use of technology to build information literary skills, and enhance user experiences. When she's not working, she enjoys being with her family and serving alongside her husband as a Senior Pastor's wife.